I am always honest here so it's only fair that I admit that, well, I wasn't always cool. I didn't own my first pair of Doc Martens until tenth grade. 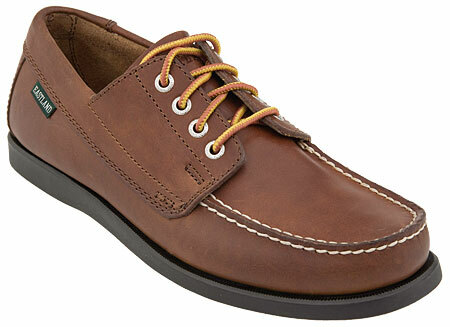 I believe it was in ninth grade when I indulged in the famous 1980s Eastland brand boat shoes. If you were seriously preppy, you always paired your slouch socks (preferably E.G. Smith brand) with your Eastland shoes along with the Eastland Knot. We all wore Eastlands, they were a must back then, especially as a Catholic high school student, what else was a kid to wear? 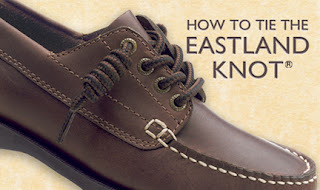 Visit Eastlandshoe.com to learn ore about the Eastland Knot. 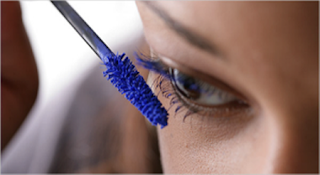 I loved blue mascara in the 1980s. Back in the days, I thought I was so cool with my electric blue mascara. Colored mascara was popular with teens and preteens in 1987 and yes, just like everything else, it has made a comeback. Did you wear colored mascara? 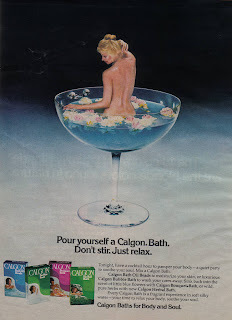 Like most TV-lovers in the late 1970s and early 1980s, I spent my Saturday nights glued to the TV waiting to "set a course for adventure, my mind on a new romance." 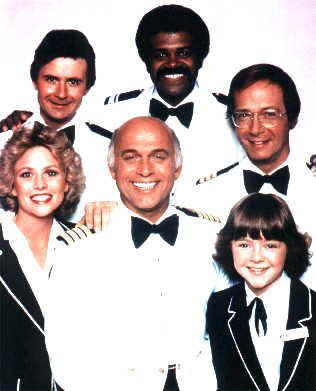 I'd sit about two feet away from the screen (even though Dad warned me that I would ruin my eyes) and anxiously wait for The Love Boat. I loved the theme song. I loved the special guests like Charo and Adam Rich. I loved the warm and welcoming crew and yeah, I had a small crush on Gopher. I thought Vicki Stubing was the luckiest girl. The Love Boat made cruising on the Pacific Princess look heavenly, and to this day if all of my vacations were cruises, I'd be fine with that. This classic Aaron Spelling show ran from 1977-1986, however I'm quite sure that by the mid 1980s I was no longer tuning in. I had other shows to watch with cute boys like Jason Bateman or Kirk Cameron, but I will forever remember loving The Love Boat and wishing I could be a special guest. How about you? 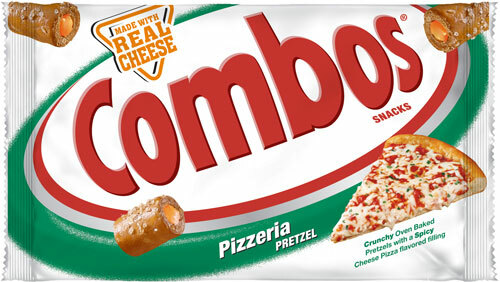 Throughout the 1980s I was all about Combos. Yes, I realize these cheese-filled pretzel snacks are still popular today, but it was the 1980s when I had my very first taste of Combos. I remember I was about ten and my family was on some sort of endless road trip. Maybe we went upstate, I don't recall exactly. What I do remember was walking into a gas station rest stop with two dollars. I was ready to try something new and there they were in all their glory, Combos. I remember I wanted to make that taste last a very long time so I sucked on each Combo until it literally disintegrated in my mouth. I washed down each soggy cheesy pretzel with a mouthful of Diet Coke. It was heaven. To this day I still find Combos irresistible. Check out this vintage Combos commercial. When it comes to 1980s styles, I'm embarrassed to admit that I actually liked parachute pants. A few years later, acid washed jeans became super popular. 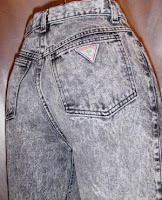 Acid wash was an effect created by washing denim jeans with pumice stones and bleach. Usually a fan of whatever was in style at the time, I honestly don't think I owned one pair of acid washed jeans. I just wasn't a big fan. Acid wash was one style I was happy to say goodbye to. I loved the original Footloose. Why remake it? I am so very sad this weekend with the remake of Footloose. You know how upset I was about my other childhood favorite remake, Karate Kid. I loved everything about the original Footloose, but of course Kevin Bacon had a lot to do with my Footloose obsession. At age 12, I loved the music. I knew the words to every single song on the soundtrack. 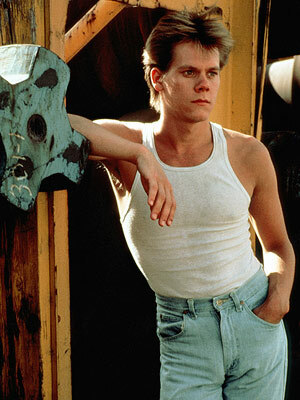 I loved the style of the clothing everyone wore -- I wasn't even into cowboy boots, but it worked in Footloose. As a preteen, I wanted to someday attend a prom. I wanted to drive an old VW Bug. I wanted to live in the country and hang out at a cool burger joint. I wanted a boyfriend with messy, spiked hair. In fact, Footloose pretty much started the spiked hair trend for the average kid. I remember wanting my hair to stick up like Ren's. I read in Seventeen that I needed something called mousse to do it. Back in 1984 mousse was almost impossible to find. Why remake one of my childhood favorites? Why mess with a good thing? Why not just touch it up and re-release the originals? 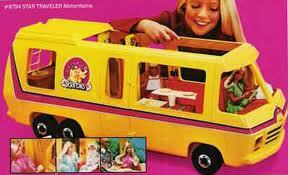 In addition to the Barbie Dream House, the Barbie Star Traveler Motor Home was yet another awesome toy I never owned. I believe my friend Robin may have had one in grammar school. I know someone had it and I loved it. Click below to watch the annoying happy-as-hell girls playing with their Barbie Star Traveler Motor Home. 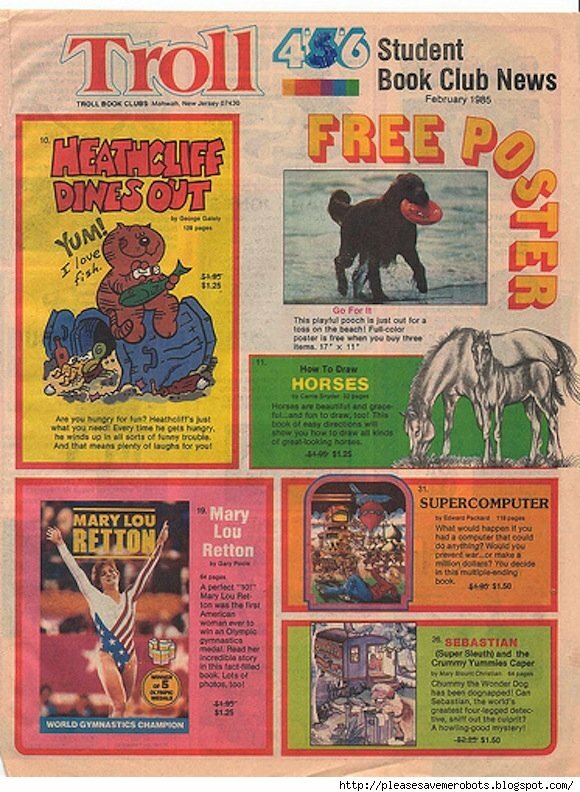 I think the worst part of those 1980s Barbie commercials were those damn little girls. They were always perfect-looking and adorable. It's as if they were rubbing it in and having the time of their damn lives playing with a toy you'd never own. I would loved to have played with a Barbie Motor Home in our yard. My Smurfs would have really enjoyed dining in that kitchen on wheels. I could take the Barbie Motor Home to the beach in the summer or maybe even be daring and bring it into my snow forts. But no, no Barbie Star Traveler Motor Home for me. My parents made it up to me by purchasing cars for me in college, so I can't even try to make them feel guilty. 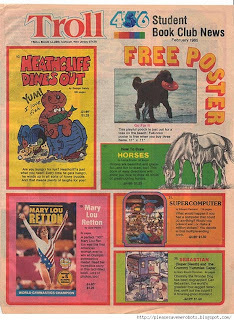 of choice in the late 1980s. L.A. Looks debuted in the hair product aisle of America's favorite drug stores back in 1987. 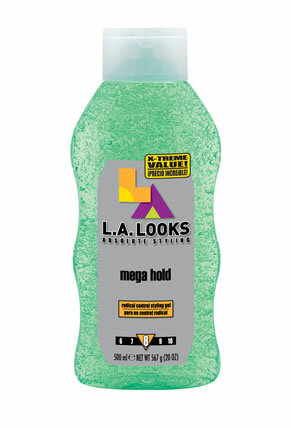 Almost every girl in school used L.A. Looks hair products. I know I invested in several L.A. Looks products. They were super popular. What was it about L.A.and California in the 1980s? Everyone wore L.A. Gear and Camp Beverly Hills and spoke like Valley Girls. 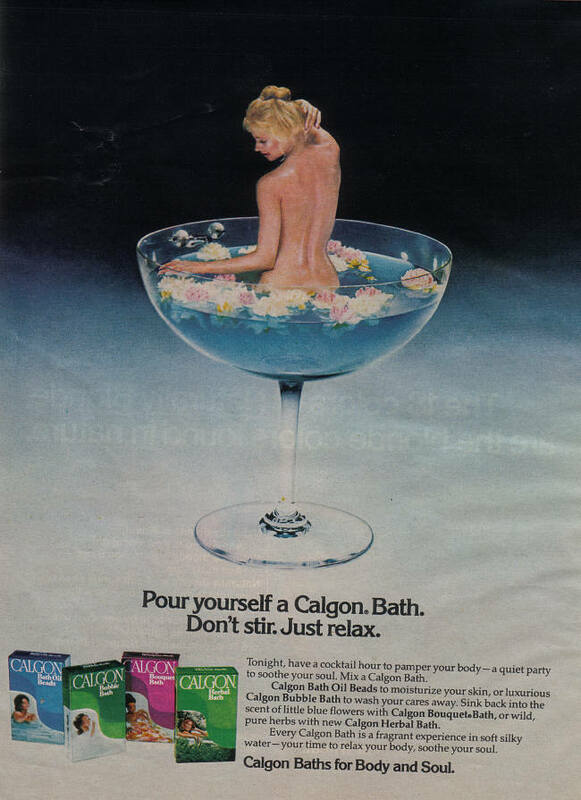 stressful to me in the late '70s. 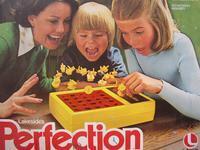 In the late 1970s, Perfection by Lakeside Toys (and then acquired by Milton Bradley) was the game I loved to hate. I've always been sensitive to sound and surprises, so games like Perfection and Operation always freaked me out, yet I of course played them. 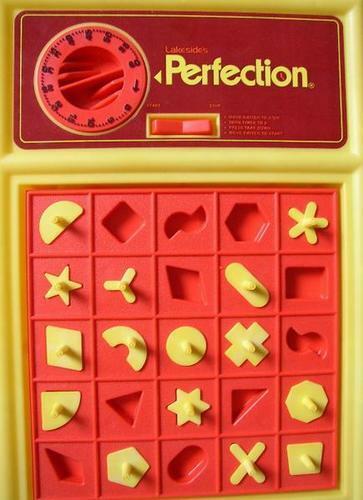 To start a game of Perfection, you would press the inner plastic orange-colored tray in and hit the timer. The object of Perfection was to fit 25 different plastic shapes into their matching spots within 60 seconds. Once the timer hit 60 seconds, the tray would pop out tossing the small plastic pieces. I found the game of Perfection super stressful. Check out this commercial for the 1970's Perfection game. grandma and mom used to make. How do you feel about bread pudding? Growing up, grandma often made different types of puddings from scratch. It was comforting and yummy, especially in the fall and winter months. Bread pudding is unique in that it's served warm. So thinking about how delicious bread pudding is, I was excited to hear that Kozy Shack added three varieties of bread pudding to their extensive dessert options. It's probably the closest-to-homemade packaged bread pudding product you'll find in the supermarket. All natural with no preservatives and no artificial flavors. Not too high in calorie - under 160 calories per portion. Available in Apple Cinnamon, Cinnamon Raisin and Peach. Priced under $4 for a four-pack. Check out the Kozy Shack website for a coupon and chance to win a trip to the Macy's Thanksgiving Day Parade. Win a free package of Kozy Shack Bread Pudding! To enter, just leave a comment below and include your email address. One comment will be picked at random. The only rule is you must be following my blog. Good luck! Today I had a random thought on my ride home from my freelancing gig, candy buttons. You know candy buttons -- the hard little disks made of sugar in pink, yellow, orange and sometimes blue. They were sold on strips of white paper that resembled a cash register receipt. 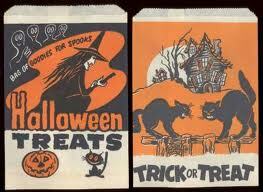 Candy buttons were colorful dots kids had to eat directly off the paper. It was inevitable you would get tiny wads of paper stuck in your mouth. You didn't care, you were young and the button candy was so appealing to the eye. There was something so pretty about it.